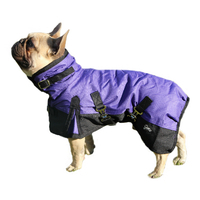 Our Warm Lined Waterproof Dog coats will keep your dog dry and warm on winter days. 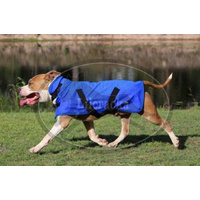 This Coat is strong and waterproof & includes a built in ripstop thread for added durability. 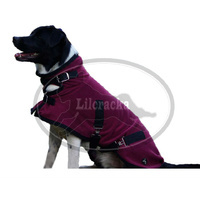 The coat features a breathable nylon lining with a warm 300gsm of Polar Fleece Filling. 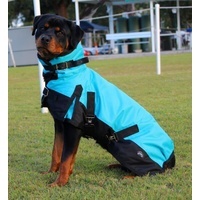 The breathable nylon lining has a silky feel on the dogs coat and insures that if the dog rolls in a puddle and the underside of the coat gets wet, - it will dry out quickly. 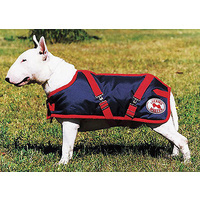 This is a strong wearing dog coat offering high warmth. 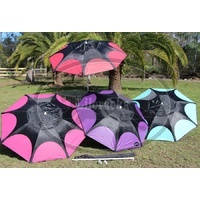 Ideal for use indoors and outdoors. Our new Deluxe Model now has Aliminium Clip fastenings makink them far easier to get on Wriggling dogs. All this along with more adjustability in our straps will ensure the best possible fit and comfort for your Furry companion. 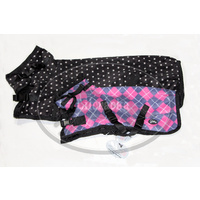 • The Coat is filled with 300 gsm Polar Fleece fill, to keep your dog even warmer. 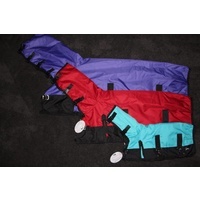 • Machine Washable, Please put your coat inside an old Pillow case to protect your machine and ensure all buckles are done up while washing.